We have a set of hanging cutlery in our house that comes in quite handy. Where we use it the most is for picnics or buffet style dining. You just drop it in the middle of the table and if someone needs to butter a bun then there is a knife. Need a spoon for the relish? Right there on the flatware tree, pick it yourself. But we warned most stands are a little tippy as the base isn’t heavy enough but we still find it better than a handful of cutlery in a jar or something. 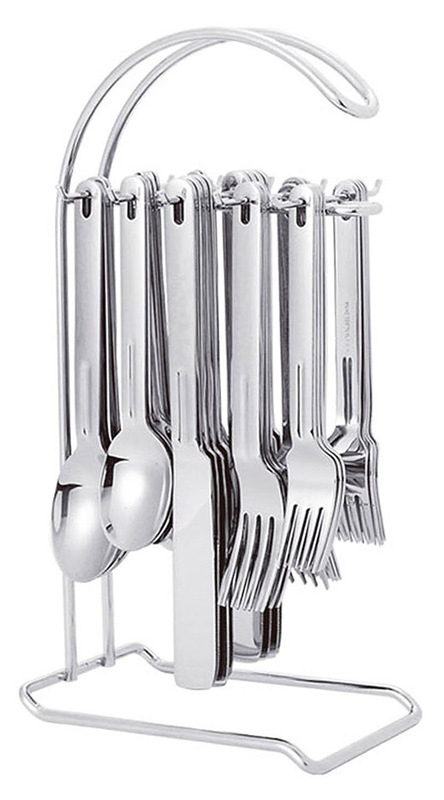 This hanging flatware by Supreme Housewares includes 4 dinner spoons, 4 dinner forks, 4 dinner knives, 4 salad forks, 4 teaspoons, and one stand. The cutlery and stand are made of stainless steel. 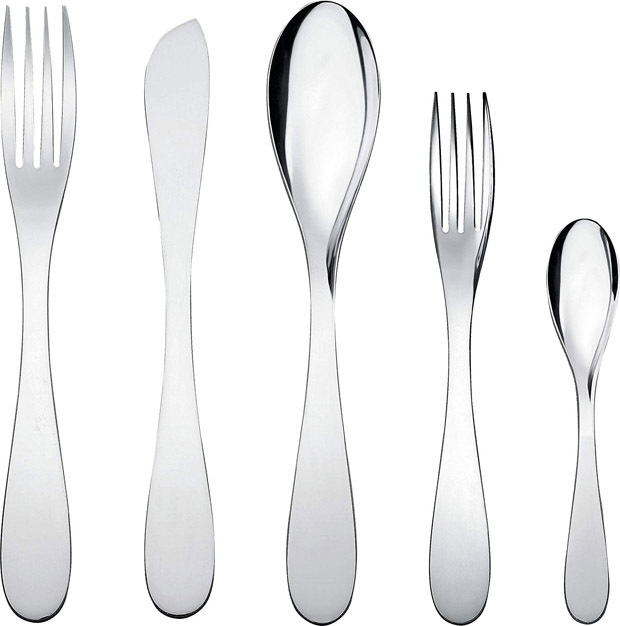 The folks at Alessi sure do have a great collection of cutlery by some very talented designers. The “Eat. It” flatware designed by Wiel Arets has a interesting concept. The idea is that all the tableware (in particular the knife, fork and spoon) can be stacked upon each other nicely. This lends for a minimalist setting at the table. This setting for one consists of a table spoon, table fork, table knife, dessert fork, tea/coffee spoon and are made of 18/10 stainless steel. 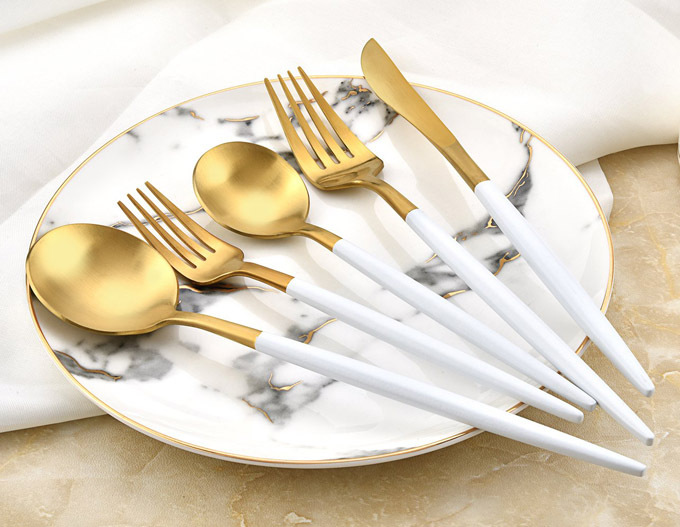 Can’t say we’ve seen much of this combination of the always trending gold cutlery but with a white handle. It just seems work to nicely somehow doesn’t it? Please notice that this set is just service for 1 person including 1 dinner knife, 1 dinner fork, 1 dinner spoon, 1 salad fork and 1 teaspoon. You will have to order multiple quantities of this flatware for your table. It is made of 18/10 stainless steel that is corrosion resistant with brushed finish. 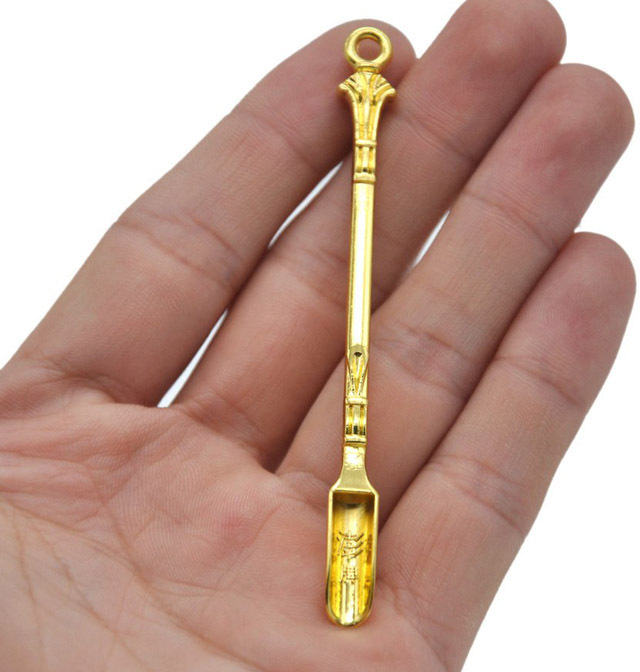 But as with any gold cutlery I would hand wash and significantly increase the life of it.